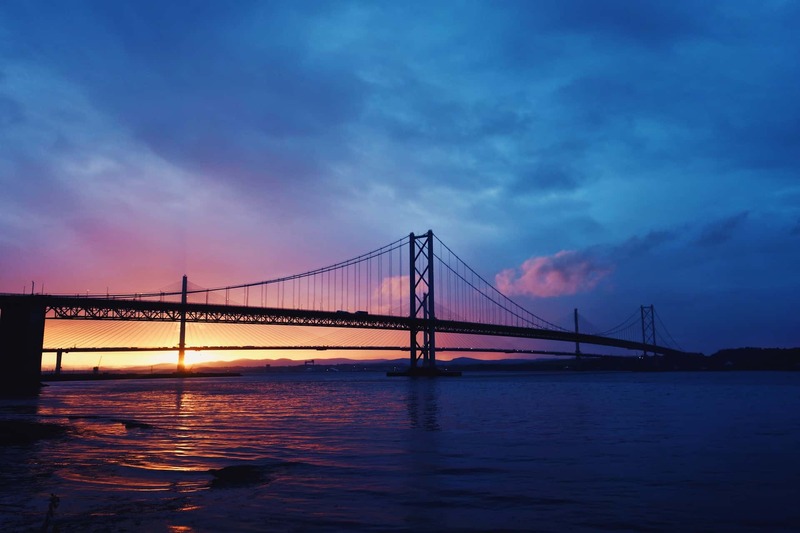 The Forth Road Bridge is one of the most significant long-span suspension bridges in the world, with a length of 1006 metres between the two main towers and a total length of 2.5km end to end. 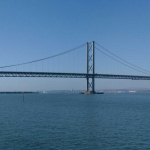 When the bridge was first opened in 1964 by HM Queen Elizabeth II it was the fourth longest bridge in the world, with the three longer bridges located in the United States. 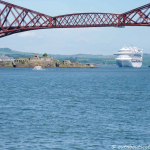 The size of the bridge is still awe-inspiring today and its monumental scale has made it a popular place for the residents of Edinburgh to enjoy the lovely views across the Firth of Forth. 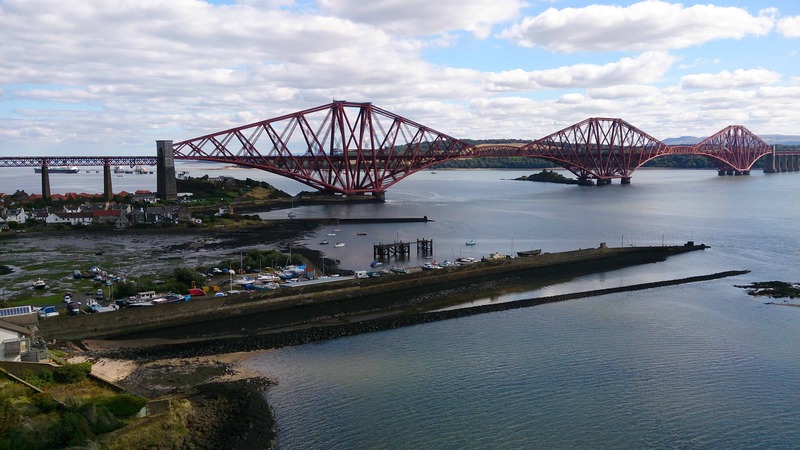 The road bridge stands some 46 metres above the Forth river which flows underneath it and due to the fact that it runs between North and South Queensferry it offers fantastic views of the Edinburgh and Fife coastlines. 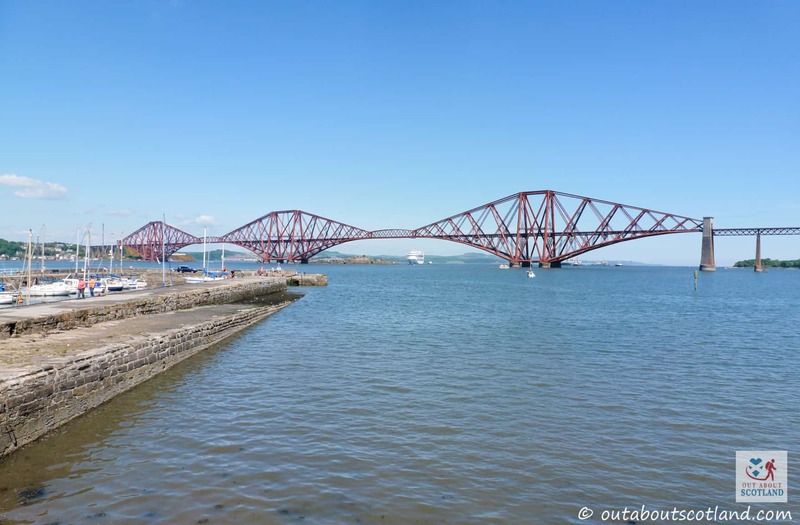 The Road Bridge is one of three bridges that cross the Forth, with the unmistakable Rail Bridge to one side and the new Queensferry Crossing Bridge to the other, and fantastic views of both can be seen as you walk between them. 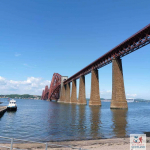 As you walk along the pedestrianized section of the bridge you’ll likely stop and take a good look at the Forth Rail Bridge which runs alongside it. 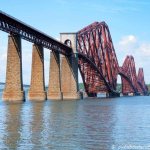 Built in 1890, the red-painted rail bridge is famous for being regarded as the eighth wonder of the world at the time of its construction. 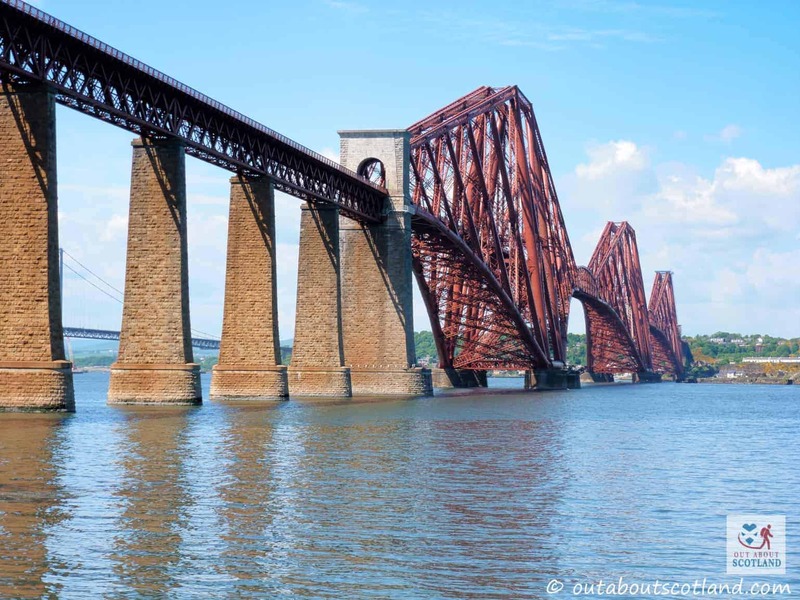 With an overall length of 2467 metres, and standing 137 metres above its foundations, The Forth Rail Bridge was once likened to the Eiffel Tower, a fact which probably goes some way for the reason it was given UNESCO world heritage status in 2015. 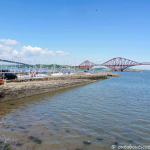 As you continue your walk between the banks of the Forth you might be surprised to see hundreds and hundreds of padlocks secured to mesh railings, left there by lovers of all ages over the course of many years. So if you’re taking in the view with a partner you might decide to place your own ‘love lock’ there too! 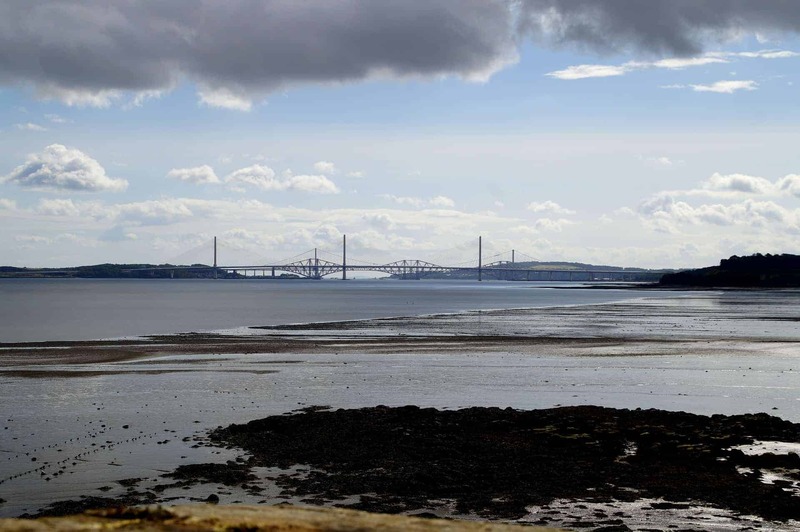 The first proposals for a road bridge across the Firth of Forth were raised with the Scottish government in 1923, just as private cars were becoming increasingly popular. 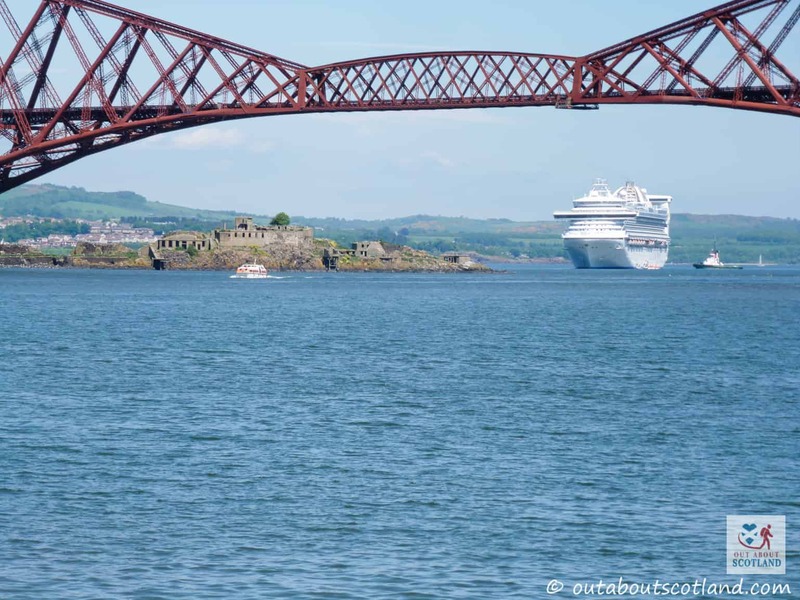 Before the bridge was built all motorists had to cross the Forth via a small ferry which was slow and awkward to make regular journeys on. 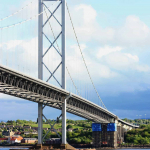 With the citizens of Edinburgh clamouring to make frequent trips to the north of the country it was inevitable that a road bridge would eventually be built. 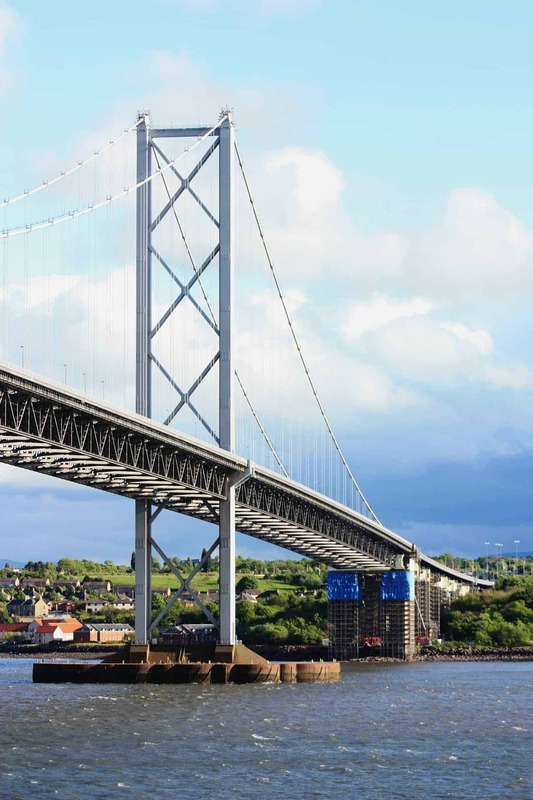 One of the biggest construction feats that were accomplished during the building of the bridge was the manufacture of over 30,000 miles of high-tensile steel wires that had to be wound together to create the main cables. 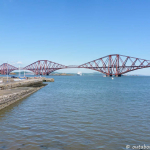 This was a system that was so new to Europe at the time that a special school had to be built in South Queensferry just to teach the construction workers how to spin the wires together. 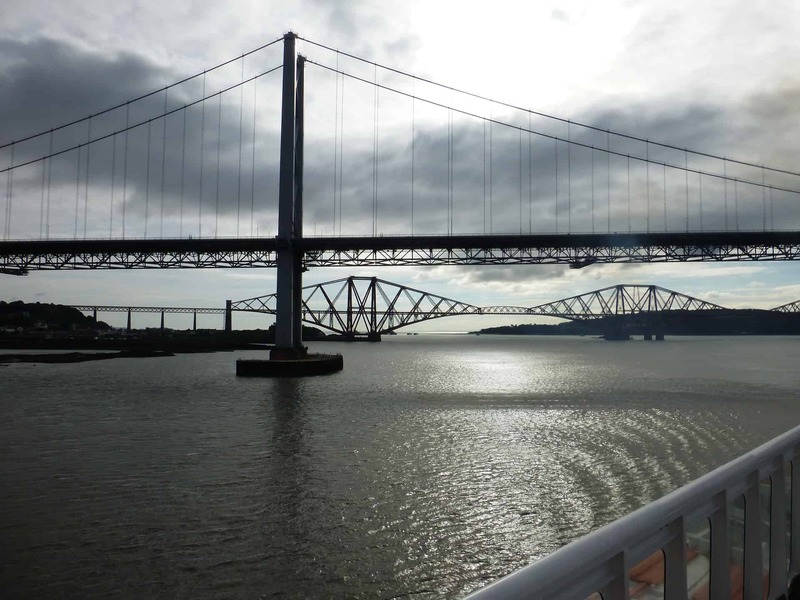 The bridge was finally completed in 1964, 6 years after construction first started, and by that point an incredible 40,000 tonnes of steel and 125,000 cubic metres of concrete had gone into its construction. 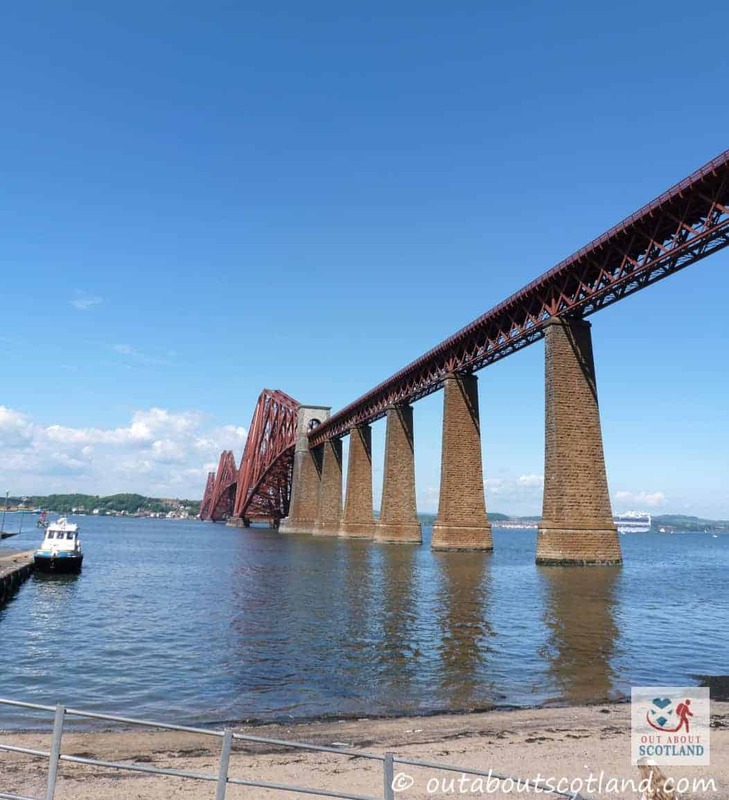 The total cost was around £19.5 million, an immense sum for the early 1960s and it marked the bridge as one of the most costly engineering endeavours in Scotland for many years to come. 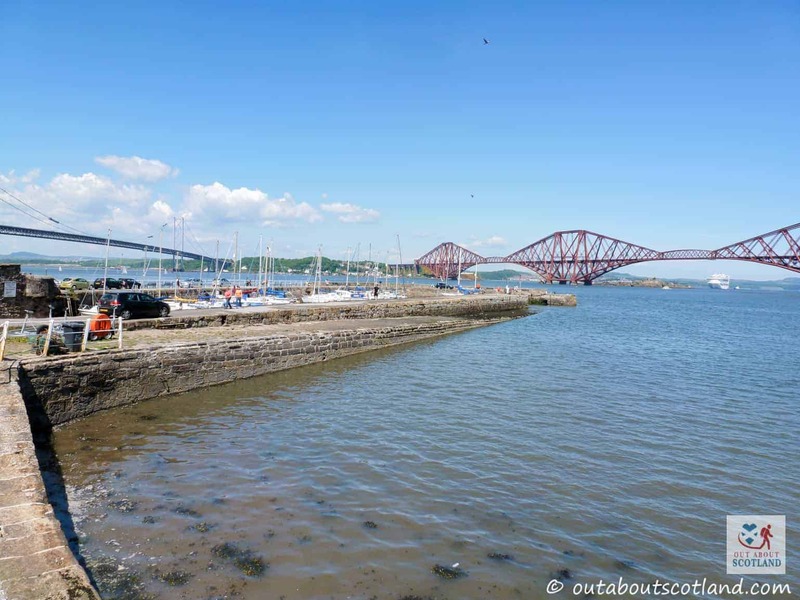 Although there is a car park at the Forth Bridge offices on the south side of the bridges, it’s often easier to park in South Queensferry and follow the footpaths. 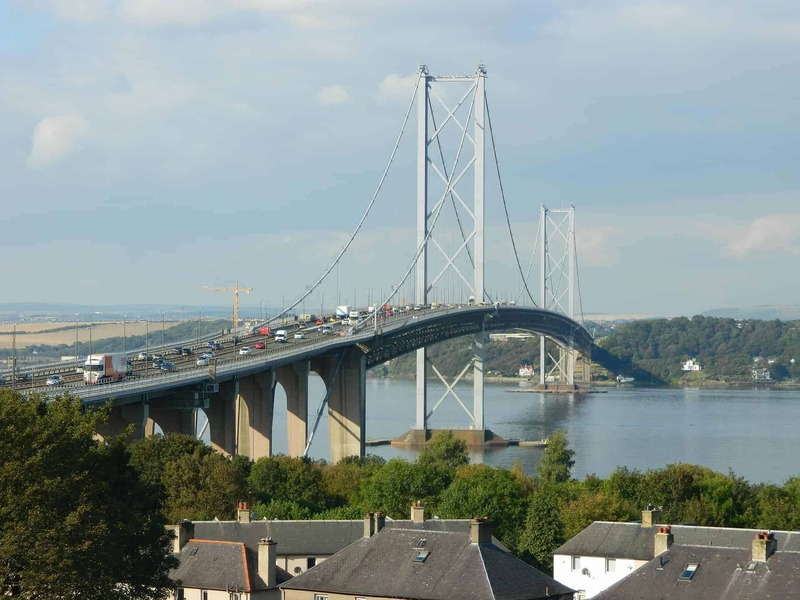 The Forth bridges are free to cross, but currently, only the Forth Road Bridge is possible to cross on foot. 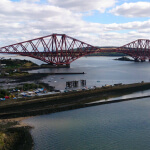 Please telephone the bridge authority or check the website before visiting as it may be closed in high winds.